Obituary for Raymond "Lee" Moore | Carlson-Shugarts Funeral Home, Inc.
Raymond “Lee” Moore age 77 of Arch Street Ext. 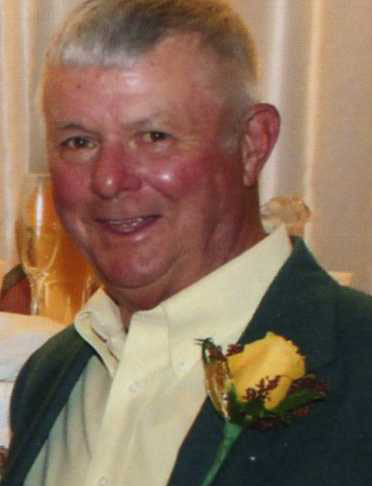 Brockway, PA; died on Friday, May 25, 2018 at U.P.M.C. – Presbyterian Hospital in Pittsburgh, PA; Born on June 27, 1940 in DuBois, PA; he was the son of the late Gordon and Betty Patton Moore. On October 13, 1962 he was married to Dianne Forsyth Moore and she survives. Lee was a graduate of the Brockway High School. He was a former truck driver for Womeldorf Trucking and an owner/operator at Peerless, Inc. In 1978 he became the owner of Forsyth Drilling, Inc of DuBois where he remained until his retirement in December of 2013. Lee enjoyed riding his Harley Trike with his wife Dianne, and enjoyed many trips out west and to Florida in their motor home. He also loved the drilling business, driving his John Deere tractor, and helping other people. Lee was a friend to all, and was someone folks could count on. He was the kind of person who always saw the positive in people and circumstances. Above all else he loved his family. In addition to his wife he is also survived by a daughter Robin (Allan) Polohonki of Falls Creek, PA; 2 sons: Scott (Leslie) Moore of DuBois and Stephen (Jennifer) Moore of Brockway; 8 grandchildren; 2 great grandchildren; a brother Robert (Cheryl) Moore of Brockway; 2 sisters: Mary Belle (Ron) Holt of Brockway and Marlene (Gerald) Sanko of Transfer, PA. He is also survived by numerous nieces and nephews. Calling hours will be on Tuesday, May 29 from 4:00 PM to 8:00 PM at the Carlson-Shugarts Funeral Home Inc. in Brockway. A Funeral Service will be held on Wednesday, May 30 at 11:00 AM at the Beechwoods Presbyterian Church with Rev. Terry Felt officiating. Burial will follow in the Beechwoods Cemetery. Memorial donations may be made to the Beechwoods Presbyterian Church 14 Beechwood Road Falls Creek, PA 15840, the Beechtree Union Church C/O Rev. Terry Felt 3023 Beechton Road Brockway, PA; 15824 or the Sugar Hill Presbyterian Church.